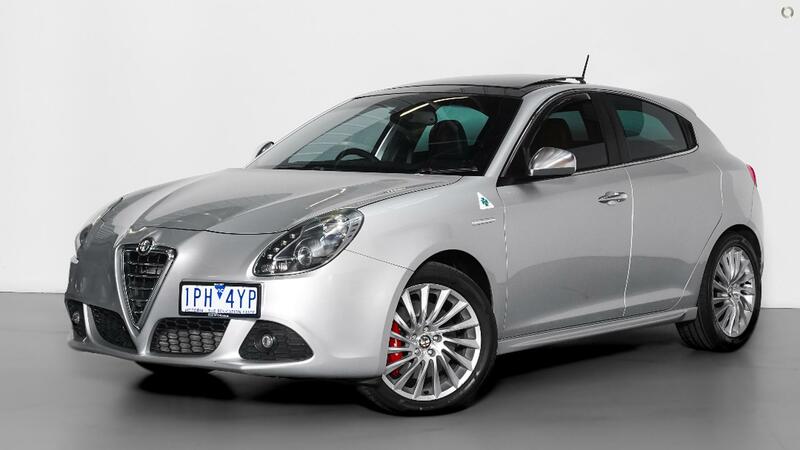 2013 Alfa Romeo Giulietta Presented in Immaculate Condition with One Owner and Full Alfa Romeo Specialist Service History. Finished in Alfa Silver Metallic with Soft Ash Black Perforated Leather Interior and Piano Black Trim Inserts. Packed with Factory Features such as; Panoramic Sunroof, Rear ing Sensors, Bluetooth, Multifunctional Steering Wheel with Paddle Shift, Cruise Control, Aluminium Pedals, Dual Climate Control and Factory 18" Wheels. Plus many more... Finance available and trade in welcome. Price includes RWC, Warranty and Includes all on road costs. Great buying @ $12,990.00 Drive away!!! We have been involved in the automotive industry for over 10 years Trading the highest standard in prestige motor vehicles. Every vehicle has been comprehensively inspected and tested as well as having them prepared for roadworthy by our fully licensed prestige car workshop.